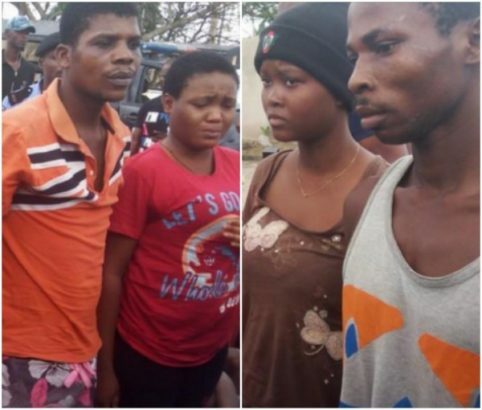 18-year-old Pregnant Mother of one, Divine Preye Idan, is now cooling off in police net alongside her 35-year-old husband, Idan, who she assisted to rob a boutique in Biogbolo-Epie, Yenagoa. The couple who were arrested at gunpoint during their operation on September 21, 2017, said they got the locally made pistol from another couple, Iro Royereyigha, 30, and Abani Perelebina, 18. Divine disclosed that they made an initial deposit of N1,000 for the gun, promising to pay up the remaining N100,000 after the operation, a claim her Husband Idan backed up, further alleging that it was their first time.